The Kent Calisto Medium Freestanding Wood Heater combines technology with modern design. With coverage of up to 300 square meters, the Calisto is the perfect choice for medium to large sized living spaces. This efficient and environmentally friendly wood heater is one of the cleanest burning heaters on the market, burning cleaner than the national standard for emissions of 1.5g/kg. Sturdy in construction, the firebox comes with a 10 year firebox warranty. 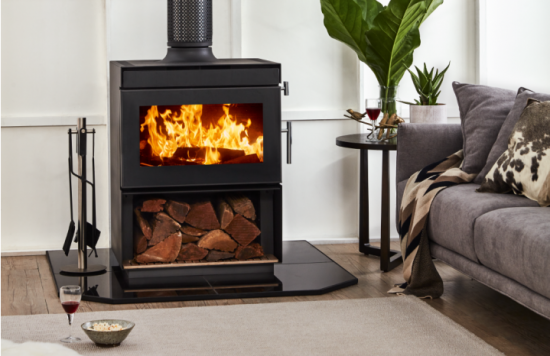 The Ketn Calisto is designed to fit seamlessly into an existing brick chimney, giving you the benefits of a traditional open fireplace without the ashy mess.